One strategy for building pectoral muscles is to separate the chest into four areas: upper chest, lower chest, inner chest, and out chest. 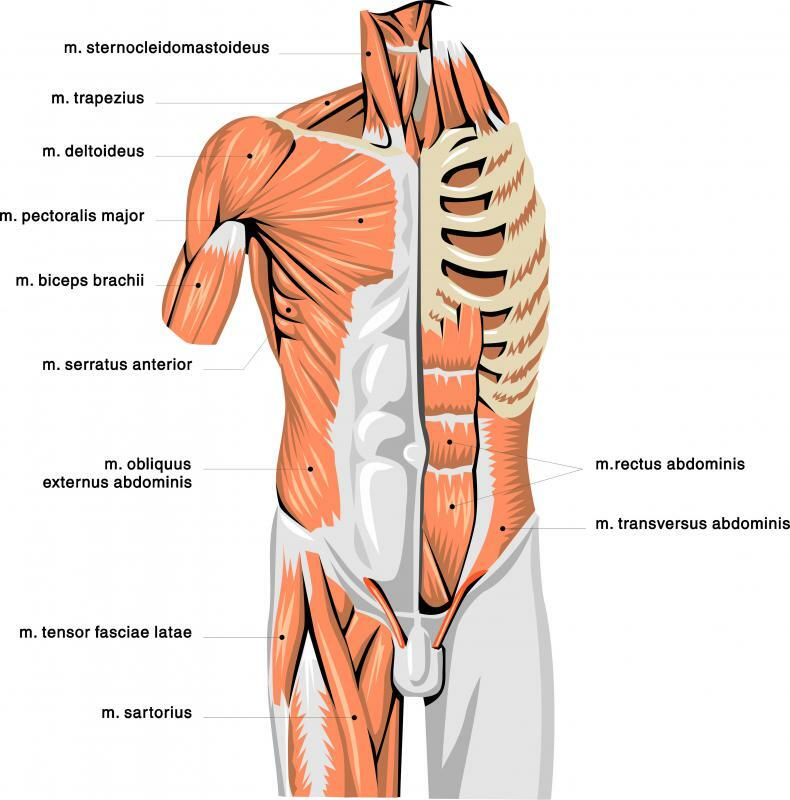 An anatomical illustration showing many muscles in the upper body, including the pectoralis major. 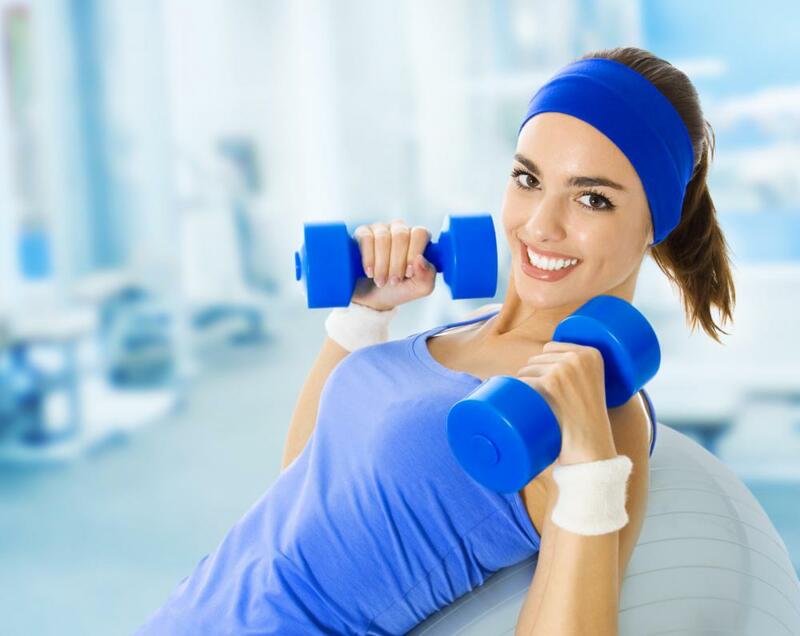 A variety of weight workouts may help build pectoral muscles. Incline bench presses, a variation of flat bench presses, primarily work the upper chest and shoulder muscles. An incline bench press is an exercise in which a person lies down with his back at an incline. Push-ups strengthen the upper chest muscles. Because the pectoral muscles are large, a workout to build pectoral muscles can be quite strenuous. It is important to work the different groups of pectoral muscles consistently to get the best results, and a variety of weight workouts can help build pectoral muscles safely and quickly. Consistency is key, and a workout regiment should be adhered to as closely as possible for as long as possible, preferably for a period of a few months. One strategy to build pectoral muscles is to break the chest down into four parts: the upper chest, lower chest, inner chest, and outer chest. Then, it is necessary to find specific exercises that will benefit each group. Isolate the specific exercises into a workout routine, focusing on one area per workout. For example, on day one, work on the upper chest. On day two, rest. On day three, work on the lower chest. Continue this pattern on a schedule that works for you. To build pectoral muscles in the upper chest, an incline bench press is a good start. An incline bench press is an exercise in which a person lies down with his or her back at a slight incline. Then, a barbell can be lifted above the body for several repetitions. People who want to build pectoral muscles but are new to this exercise should start with less weight and work his or her way up. Another good exercise for this area of the chest is the incline dumbbell fly. To build pectoral muscles in the lower chest, try a decline bench press, which is essentially the same thing as an incline bench press, except instead of lying with the back slightly raised, the lifter will lie down with his or her back slightly lowered so the chest is below the hips. Another good option for lower chest muscles is the parallel bar dip, in which a person holds onto parallel bars, one with each hand, and lowers him or herself, then raises back up again. The flat bench dumbbell fly and cable weight crossovers are good ways to improve the inner chest muscles. These exercises involve cross-body movements or movements that expand and contract the inner chest muscles. A flat bench press, in which the body lies flat on the bench, is a good way to improve outer chest muscle strength. How Do I Fix a Saggy Chest? What is the Pectoral Muscle? How do I Treat a Torn Pectoral Muscle? What are the Most Common Causes of Pectoral Muscle Pain? What are the Different Types of Pectoral Workouts? What is a Dumbbell Fly?